Even if you don’t fear economic meltdown, war, or tyranny, nature doesn’t care who’s in control of the government. At this writing it’s 12 days after hurricane Sandy struck the Northeastern United States, and there are still hundreds of thousands of people without food, water, fuel, heat, and electricity. In this article we’ll discuss ten items to stockpile right now for natural or political disasters. It blows my mind that with all the warning people had, so many of them still failed to prepare. Certainly, in a disaster of this magnitude, there would be some in dire straits even if they had stockpiled their supplies — the stock could get washed away, or it might burn, or they’d have to abandon it. But so many failed to prepare, or prepared so inadequately, because of a mindset of dependency. This is not a comprehensive list of emergency items. The specific priorities you attach to these items will vary depending on whether you live in an urban, suburban, or rural area, the climate, and economic conditions prevailing in your area. Note: I have linked to some of the items for your convenience, but be sure to double-check the price before you buy them. I’m watching the price of some of them, like the flashlight, rising rapidly over the last few days. See my statement about product recommendations. Water and Non-Perishable Food. Keep at least 1 gallon of water per person per day. In addition, you should have a Big Berkey Water Filter. 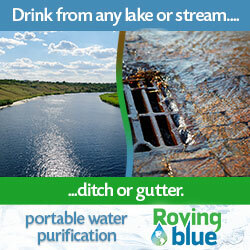 This way you can filter several gallons of water everyday, in case your municipal supply is contaminated. Canned goods can be eaten without cooking. Also have dry goods in case cooking is not a problem — consume these first, and save the canned goods. Flashlights and Batteries. Give priority to flashlights that use common batteries, like AA, instead of the exotic batteries that may be hard to find. This one is a great value because it is waterproof, floats, and uses AA batteries: Dorcy Waterproof Flashlight. Batteries have a long shelf life, so stock up plenty of them. Candles, Matches, and Lighters. A single flame will light up an entire room enough to keep you out of the dark, and large ones will provide a couple of hours of light for weeks. Keep your matches in a waterproof container. Use lighters as a backup. Clothes and Blankets. I keep my clothes in a compression dry sack from Outdoor Research. That way if a tornado blows off the roof, I’ll still have dry clothes.I know $33 might seem like a lot, but this is the bag I trust to keep my emergency clothes dry. It comes in several sizes, but the 10-liter sack will hold enough stuff for one person. Give priority to wool — it will keep you warm even in damp conditions. I have a wool hat, wool socks, wool sweater, a pair of pants, a neck gaiter, underwear, gloves, and a waterproof, breathable nylon jacket with a hood. Portable Stove or Camp Stove. Propane stoves or liquid-fuel stoves can be used indoors if properly ventilated. I highly recommend a dual fuel type like the Coleman Sporter 2. It will burn either Coleman fuel or unleaded gasoline. Solo Stoves and Kelly Kettles will burn any available wood or charcoal, and are good if you can cook on a patio or balcony. Give yourself options. Alternate Heat. You need a backup in case your primary heat source goes out. A fireplace, wood stove, or kerosene or propane space heater will knock the chill out of at least one room. I prefer the radiant kerosene types. Liquor, Coffee, and Cigarettes. Even if you don’t drink or smoke, these make excellent barter items. Also, alcohol can be used as a disinfectant. Buy the cheapest stuff you can find, and give priority to plastic bottles, which are resistant to breaking. Vodka and Everclear are good choices. Keep coffee and cigarettes in waterproof containers. Guns and Ammunition. A .22 rifle, a .45 caliber handgun, or a 12 gauge shotgun are good choices. Be sure you have plenty of ammo. Medical Kit. Your medical kit should include first aid basics, plus an additional supply of whatever regular medications you take. Ask your doctor to prescribe an emergency supply. While you’re at it, request additional prescription items such as antibiotics and narcotic pain-killers. This kit from Adventure Medical Kits is light and watertight. Tools. Just the basics here: hammer, screwdrivers, a knife, multitool, tape and glue, rope and twine, and a pry bar. Be sure you keep this kit untouched until the emergency. That way you know it will always be there. Toiletries. Toilet paper will be very missed if you don’t have any. Toothbrush, toothpaste, floss, and shampoo, which can double as a body wash. Hygiene and morale are key ingredients for surviving a disaster. Rechargeable Radio. This will be a great way to learn where to find donated supplies, and to get news of the outside world. This is one of the best radios under $100: Kaito Voyager Pro. Books. You can read your bible for a lifetime and never figure it all out. Your favorite fiction genre will keep your mind active. Be sure to pack a few novels you’ve never read, in addition to some old favorites. The complete works of Arthur Conan Doyle are endlessly re-readable. Of course, a good survival handbook is a must-have. Storage Supplies. Sandwich bags, plastic zipper bags, garbage bags, and grocery bags will be extremely handy. If you’re wandering the streets and come across some canned sardines and a few tools, whip out a plastic grocery bag or a garbage bag to carry the stuff back home. Scavenging will become a way of life. Feel free to list additional items in the comments. There’s no end to what you can stockpile — I’ve just listed a few items that I considered top priority. Thank you for making this post. I have been periodically checking your site for new info, knowing you were probably so busy with the film and your family, that you were unable to give time to putting up a post. I am so thankful for your insight. I am a Christian mom of four homeschooled boys in a far too liberal state and I consistently seek reasonable advice in how to help prepare my family for the coming difficulties and trials. Your advice and shared knowledge is very refreshing to me and my sons. We love watching your videos, reading your articles and feel much more equipped as a result. Thank you for being a solid voice of reason amidst the clamor of other "survivalists" who often have strange worldviews seared with sarcasm and hate. May the Lord bless you richly for your time spent helping others prepare! Hi Gina. It has been very busy around here, but this issue was really bothering me, and I had to share. Thanks for your blessing and your interest. Share this info with friends and family, and help them be ready for winter — friends, family, community, and church are *real* security in hard times. Don't count on FEMA. I would add walkie talkies or a small radio with a weather channel. Don't for get a map of the area you are in and where you will be going. We have a solar lantern. Could be really important if you run out of kerosene. Well this is very attractive post 10 Items to Stockpile Right Now indeed.Would like to read a small more of this. Brilent post. gratitude for the heads-up…This blog post was very educational and well-informed. Hi there to every one, the contents present atthis web page are in fact remarkable for people experience, well, keep up the good workfellows. Making money online is easy, CLICK HERE! !